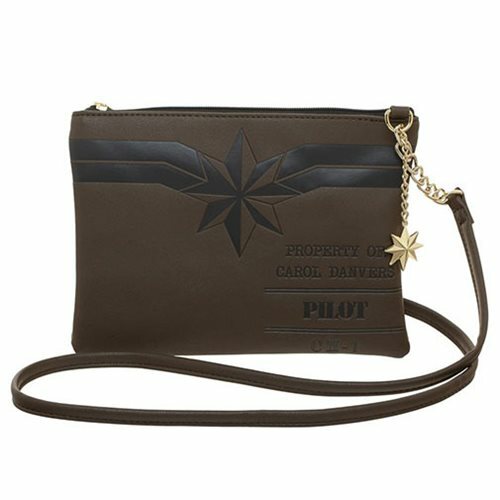 Travel with Carol Danvers style with this Captain Marvel Major Danvers Crossbody Bag. Made of faux leather, it measures approximately 8 3/4-inches wide x 6 1/2-inches tall and features zipper closure and a metal charm in the shape of the Captain Marvel logo. The words on the purse read "Property of Carol Danvers. Pilot."